In a Financial Matters Amendment Bill released for comment on Friday, Treasury proposed several changes to the Auditing Profession Act, the law that created Irba. 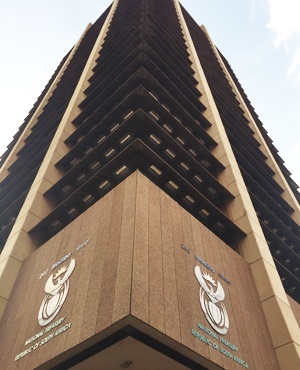 According to Treasury’s explanatory memorandum, the amendment would allow the minister of finance to determine the maximum amount a registered auditor can be fined if they are found guilty by an Irba disciplinary hearing. Currently, the maximum fine is R200 000. Treasury’s bill also proposes that Irba’s board members cannot concurrently be registered auditors themselves or make any kind of money out of auditing work, even by indirectly owning a share in an audit firm. To address non-cooperation by auditing firms when their auditors are investigated, Treasury also wants to give Irba the power to subpoena anyone in the course of an investigation. Other changes include a ban on individuals being registered as auditors if they have been convicted and imprisoned for more than a year without the option of a fine. Auditors will also be legally prohibited from simply resigning – or getting fired – if they are in the process of reporting an irregularity. Other amendments in Friday’s bill include a change to the Banks Act that will permit state-owned companies to apply for banking licences if the minister of finance and the shareholder minister agree.